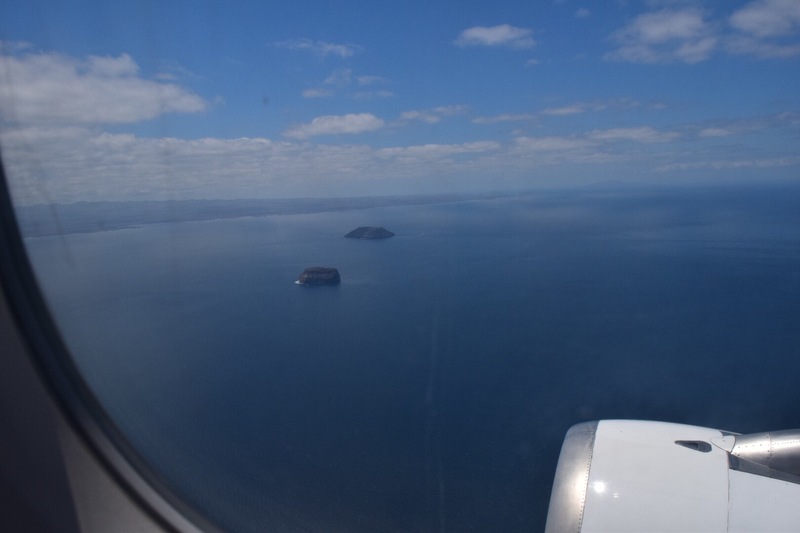 It’s surreal as the plane is nearing the Baltra airport – I am headed to the Galápagos!!! So at least with this part of the trip, I try to plan ahead and book a multi-day cruise but to no avail …nothing matches the days I am in Ecuador or flights are too expensive on such short notice. So I am left wondering if I should go somewhere else in Ecuador and come back later to the Galápagos. Luckily I talk to my good friend, Jeff, and he convinces me that I would definitely regret not going. 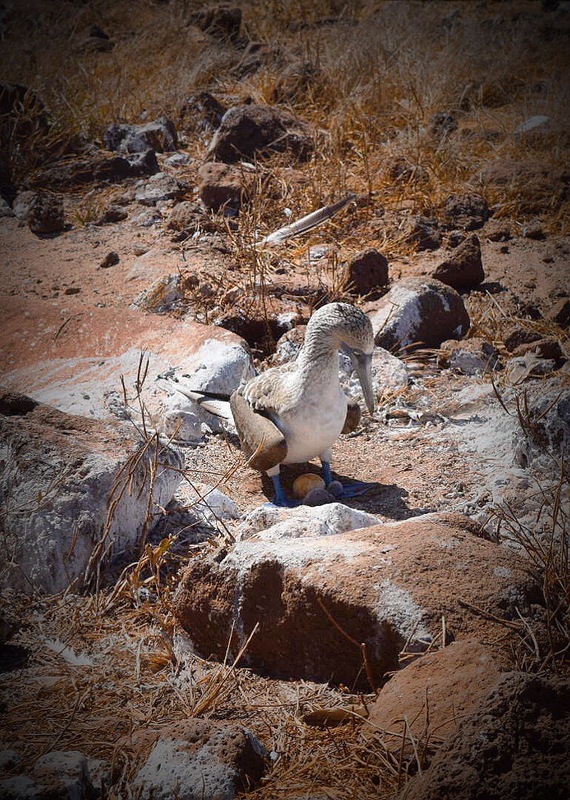 I talk to another friend, Princess, that was able to do the Galápagos Islands independent of a cruise and she gives me advice on how to manage it. Then I am able to snag some amazing deals on flights. 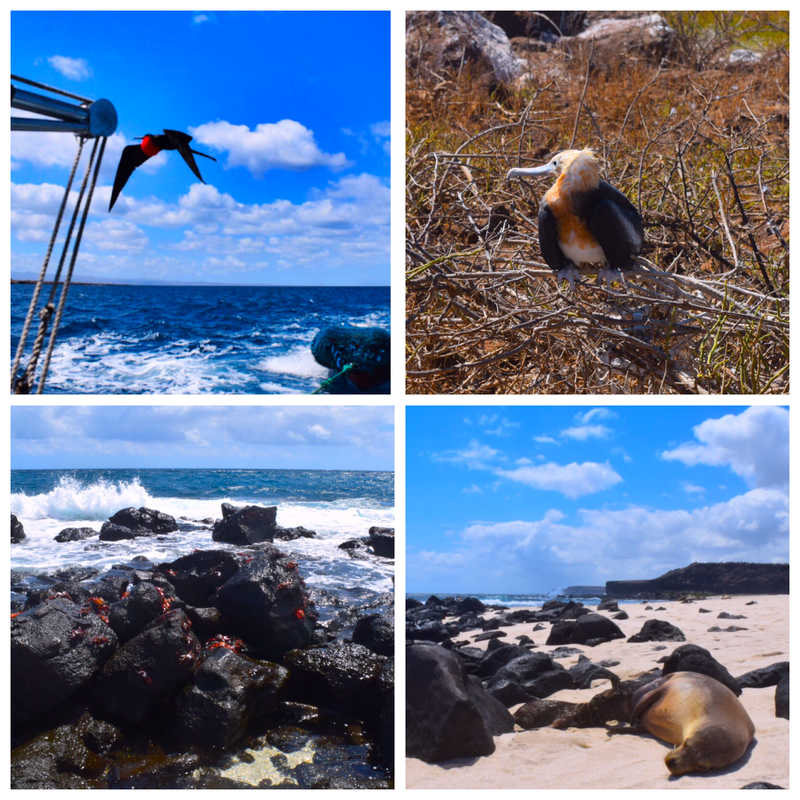 I figure that these are signs that shouldn’t be ignored and that I should go, so I head solo to the Galápagos and this is what I experienced. 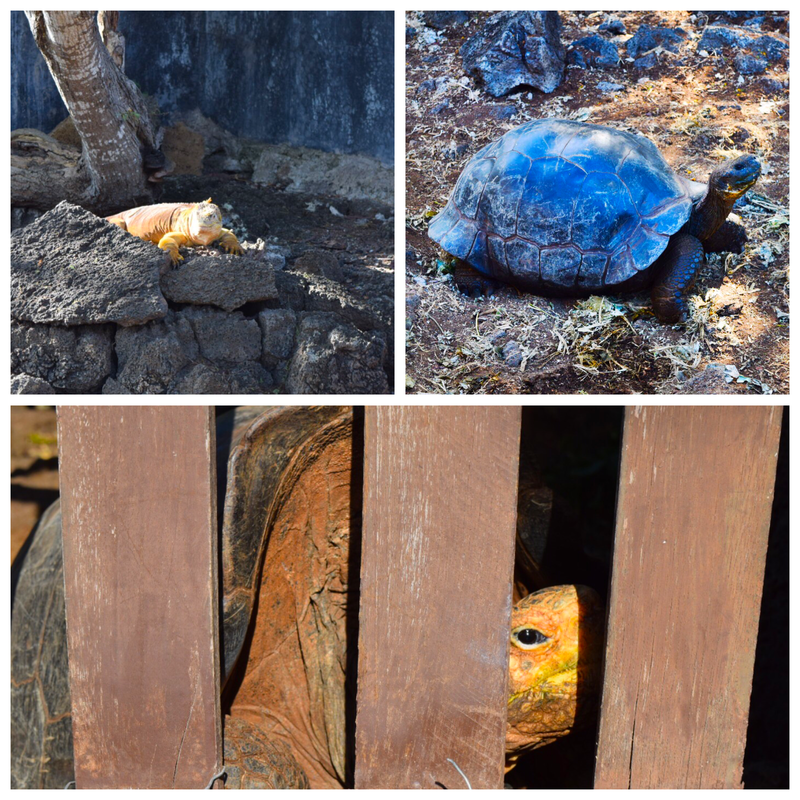 First morning in the Galápagos, I head out early to the Charles Darwin Research center. Nice thing about being an early riser – I end up missing the throngs of people on tours that will be coming here as I am leaving. I am able to hear the birds chirping and the turtles scuttling along and even hear the one trying to break out before I see it. 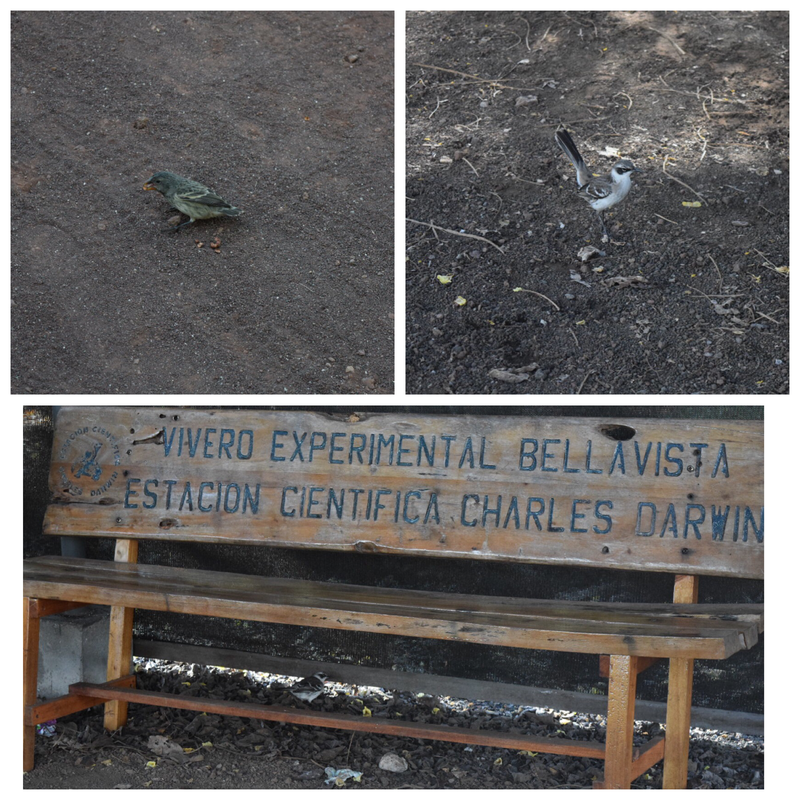 So here I am – where Mr. Darwin was able to observe these finches and giant tortoises and shape his theory of evolution. I am in science heaven…and in awe – and to top off the experience, this place is stunningly beautiful! 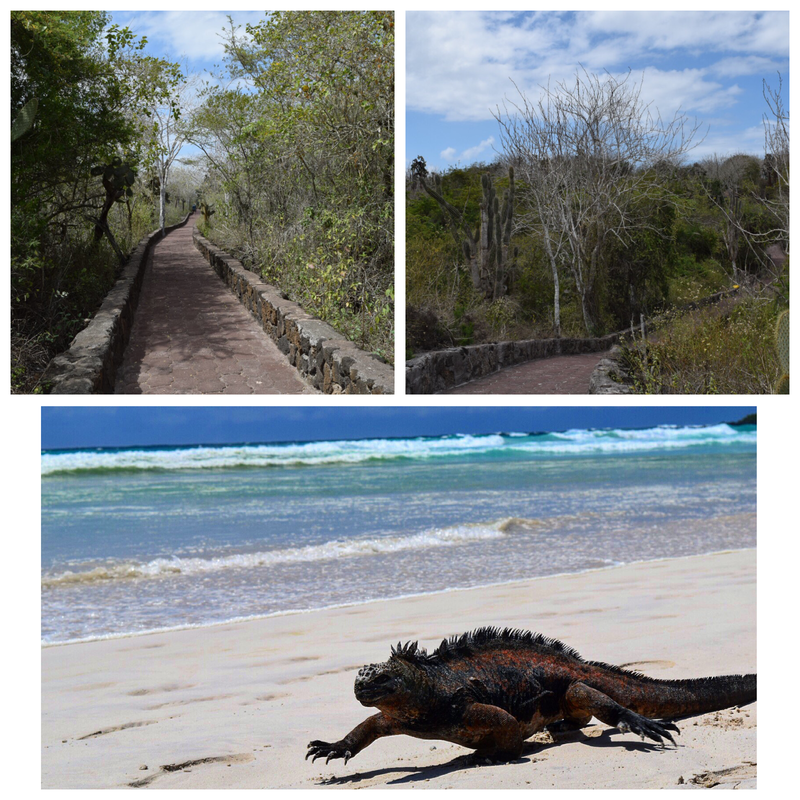 I head next to Tortuga Bay – it’s a bit of a walk but there is a nice path and the plants are just so interesting to look at. Finally come up to the first beach and jump in only to find out exactly how scary marine iguanas can look surfing in the waves. Even a bit intimidating on shore as evidenced by the bottom picture. 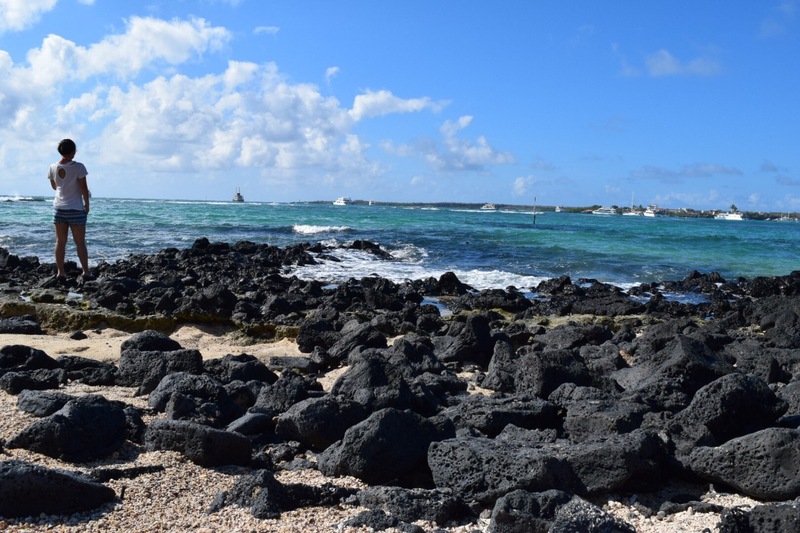 I rented some snorkeling equipment and spent some time just enjoying the beautiful clear water at the second beach. Even ended up meeting some guides on their off day that were willing to show me the rest of the island…and learned how I should always pack my battery charger because adventure is out there and you just need to say yes! So this is when the question arises: did it happen if I don’t have pictures? 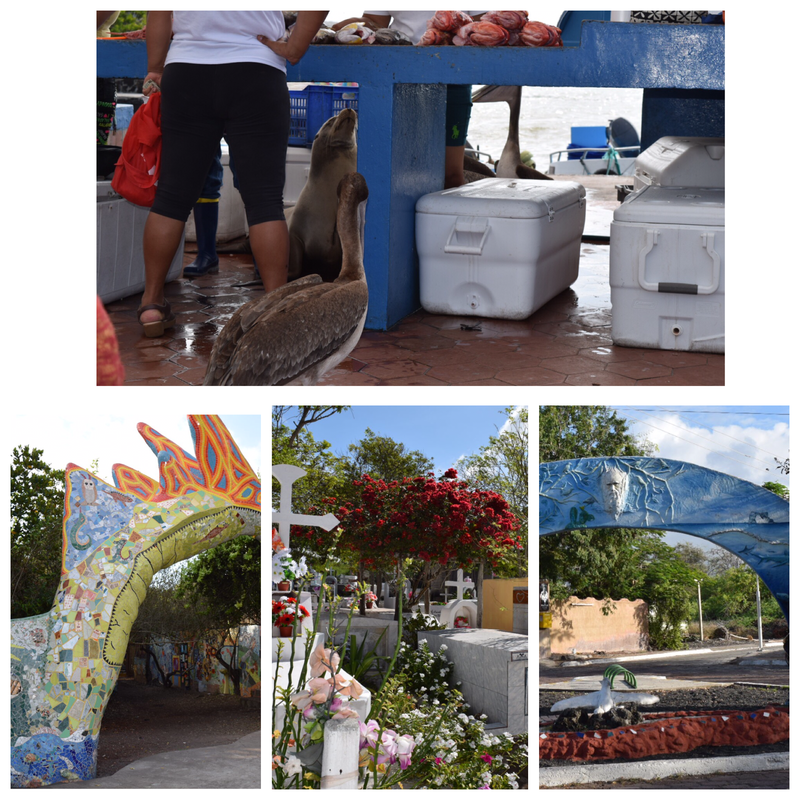 And it wasn’t too hard to get around to the other islands, there are many tour operators offering many day trips out so I decided to head to these three (and also based on schedule – as most islands aren’t frequented daily). I was told that this would be the best day trip to see the most wildlife but I definitely was not prepared for the amazing things I would see. Ok this picture above showcases how absolutely amazing my luck was – to witness and to capture this! It was crazy because we came across the very last moments of this sea lion giving birth and just stood there is awe of what we saw (the red spot is where it happened and is blood from the birth). 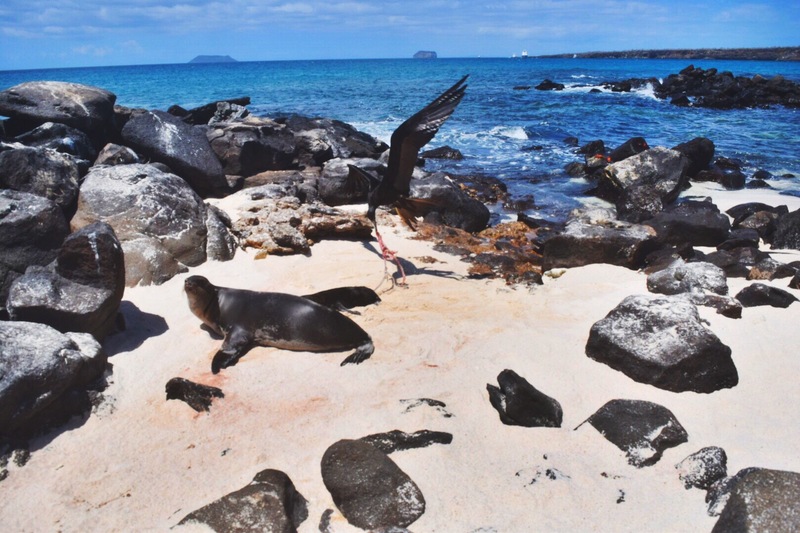 And then a frigate bird flies down and attempts to get the afterbirth (which is the pink/red stringy stuff in middle of the photo) that is still attached to the pup that is feeding on mama! This was indeed nature in action!! Mainly booked because it would be a day full of snorkeling at a couple of locations. The weather really fluctuated between extremely cold and cloudy and beautiful and sunny all day. Luckily the water was pretty warm and that there was hot chocolate to drink aboard the ship. I have never wanted more to stay a second day at some place and for two very big reasons. 1. There is a place that you can snorkel under lava formed tunnels that looks absolutely amazing but only available as part of a longer tour and 2. I wouldn’t have had two boat rides in one day. These were the type of open sea rides where the boat becomes airborne and then crashes down with some serious impact and people become violently ill during the 2+ hours. The photo above was only possible because the boat had stopped as someone had gotten sick enough to warrant a pause and I was trying to distract myself and not throw up. 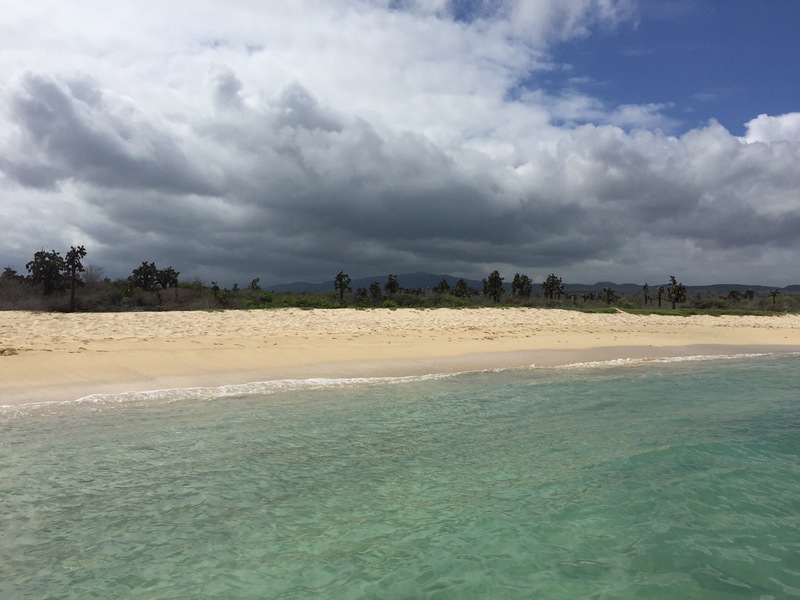 But I do not regret going to this isla in the end because of the large sea turtles I was able to snorkel with. 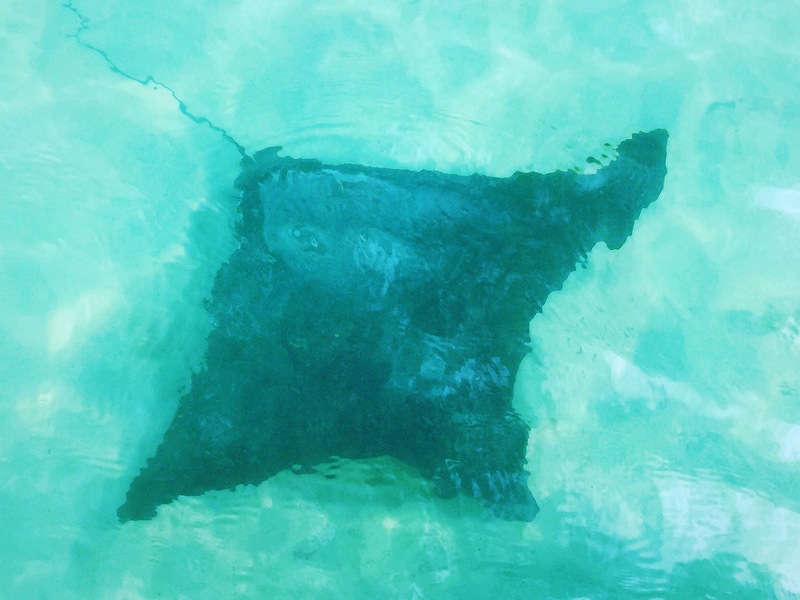 I have swam with sea turtles in Hawaii but they were dwarves compared to the giants we encountered in the waters. And the most amazing part of the day? Seeing the Galápagos penguins. How wild is that?! 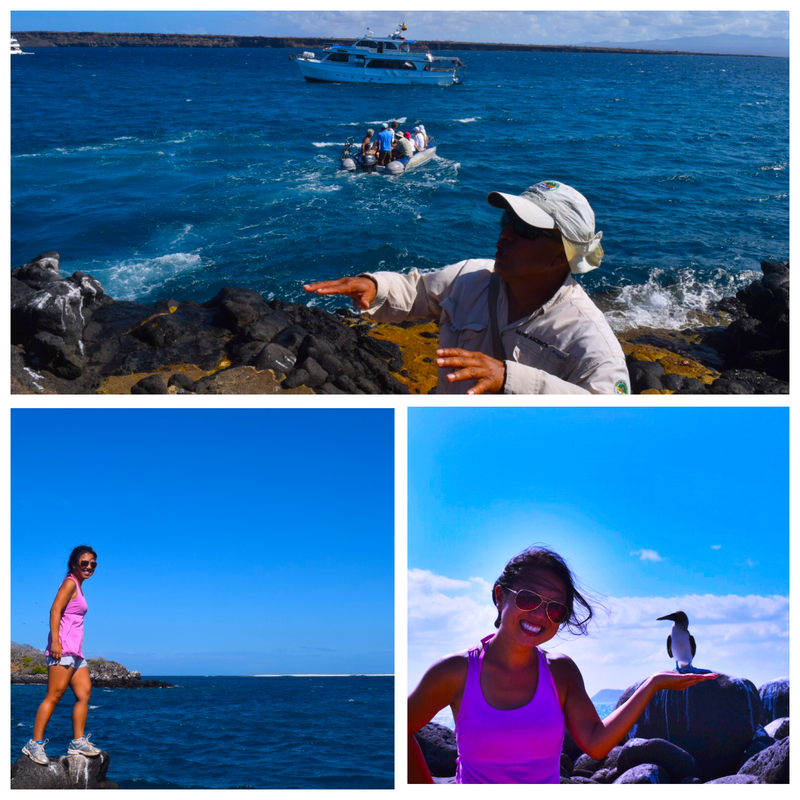 Penguins at the equator – if I had one more day, I would have headed to Bartlome. 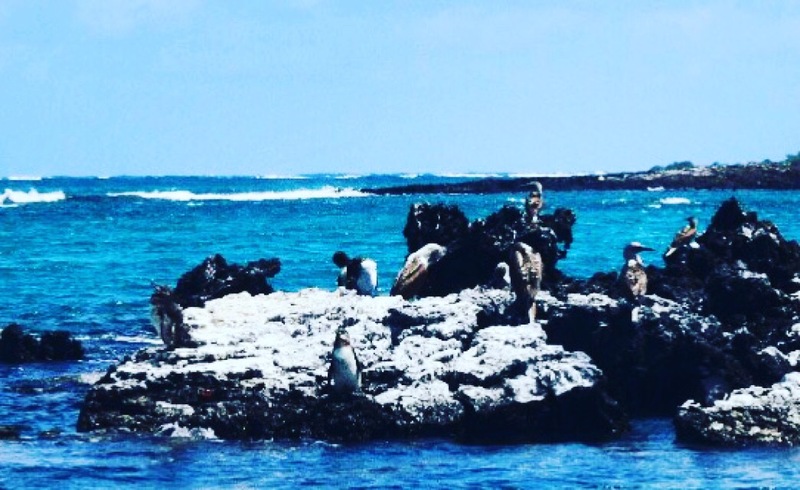 I hear that when you snorkel there, it is amongst the penguins. 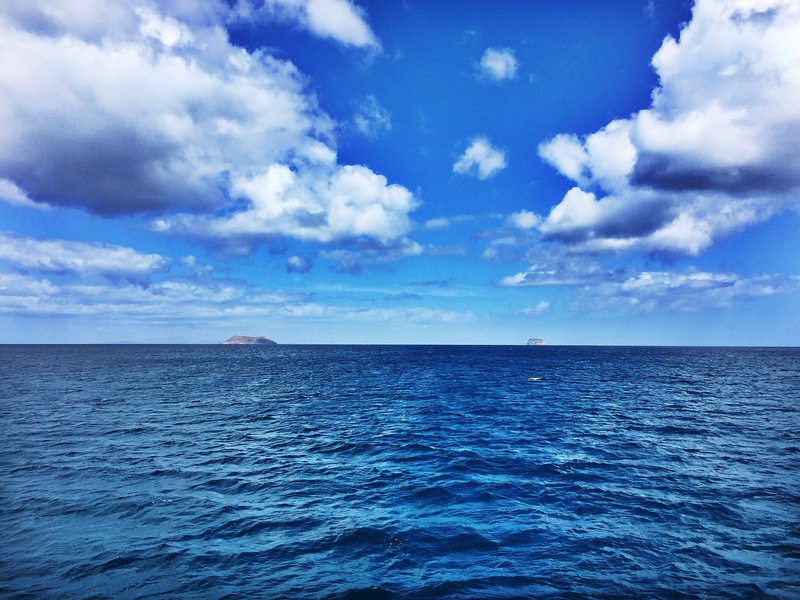 So it is settled – I will get certified in diving, get an underwater camera, and come back!! Still so much to see and do…but again I must go because adventure is out there!